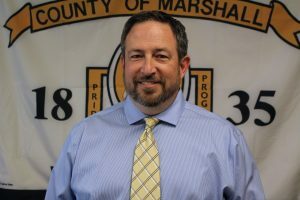 Dr. Duane Miller joined the board in July of 2014 and is a graduate of John Marshall High School and was a 1986 Cross Country All-American. He attended Marshall University and Palmer Chiropractic School. He works as a chiropractor at Miller Chiropractic. He is married to Tiffany and has a daughter Nia who attends Glen Dale Elementary.